The Better Way to Build Your Marketing Plan. Senior Marketing Specialists is pleased to announce our 2018 Marketing Credits Program. This exciting new program is offered to direct contracted SMS agents with a proven track record of commitment to this market. We want to reward you for the business you place with us! For every 25 applications you write with us you will earn 100 Marketing Credits. As a company, we will be investing over $250,000 in our agent’s marketing and lead programs this year. Your Marketing Credits can be used in one of two ways. You can choose to apply them towards the cost of a lead drop of your choice through our lead partner ARM, or you can choose to apply your Marketing Credits towards the printing of your personalized AMP pieces designed by SMS. The best part of this program is that you have access to the industries top team of experts standing by to help you strategize on how use your Marketing Credits most effectively, ensuring you make the most of your marketing budget. 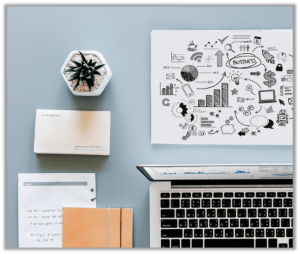 A Marketing Budget on Steroids! Your Marketing Credits can be used monthly to subsidize your cost, or ‘banked’ until you have enough to cover the entire cost of a lead drop or print job. Contact your Sales Director today to get involved and see how you can qualify. If you haven’t already taken advantage of the SMS Agent Marketing Portfolios (AMP) program check it out here. Contact your Account Manager for details and credit redemption assistance. Below you can access other supporting forms and documents to the SMS Marketing Credits Program. In order to adhere to compliance guidelines, Medicare Advantage and Prescription Drug Plan applications are excluded from this program. Program runs from January 1st – December 31st, 2018 and can be discontinued at any time at the discretion of Senior Marketing Specialists. All decisions by Senior Marketing Specialists regarding this marketing credit program and/or its cancellation are final. Qualifying business is an issued Medicare Supplement or ancillary policy issued by a carrier that agent is currently and directly contracted with through Senior Marketing Specialists, excluding any not-taken policies during the free look period or cancellations. To qualify for Marketing Credits, an eligible writing agent must be actively contracted directly through Senior Marketing Specialists, and remain in good standing during the entire applicable calendar year of the program. All marketing allowance payments will be made directly to the lead or print vendor. 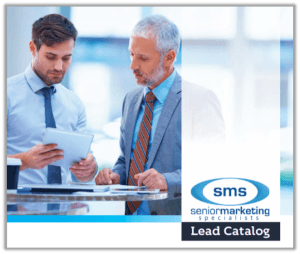 Agents may only use Marketing Credits towards pre-arranged orders through Senior Marketing Specialists’ partner vendors (ARM Leads & Printlynx). Official order forms must be used at initial order for marketing credits to be utilized during an order. No monetary payments will be made to agents.